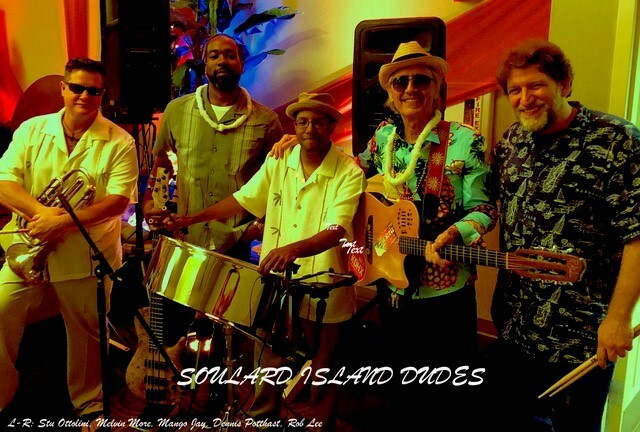 Dennis Potthast and the Soulard Island Dudes band is as fresh and vibrant to the St. Louis music scene as a breath of clean island air is to the soul. Experience music from ‘fun in the sun’ island legends such as Jimmy Buffett, Bob Marley, Paul Simon, James Taylor, and their own Wizard Island originals. What are you waiting for? Take a trip to the islands with the Wizard Island band, number one in island fun.